AWESOMENESS! If I had to describe Tupelo’s 2nd Annual Comic Con in one word, that would be it. But for the sake of this article I’ll elaborate just a bit. 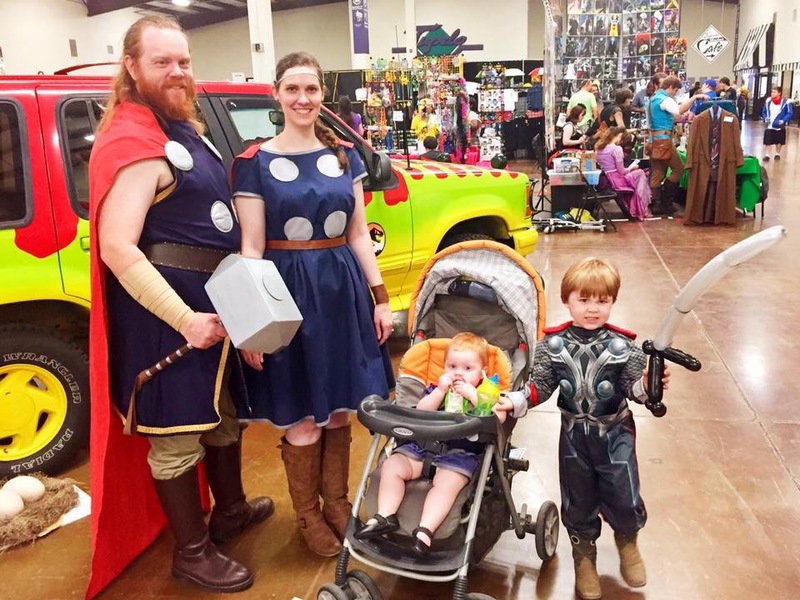 Tupelo Comic Con is a celebration of the imagination in all of us. When growing up, we all believe anything is possible, and seek out media and movies that promote that child like wonder. Somewhere between adolescents and adulthood some may loose their interest in the magical and impossible, while others embrace it. Being my first Comic Con, I’m getting the lay of the land and checking out everything! There were fans and curiosity seekers of all ages looking for relics and reminders of favorite Comic books characters, TV show personalities, video and board games. 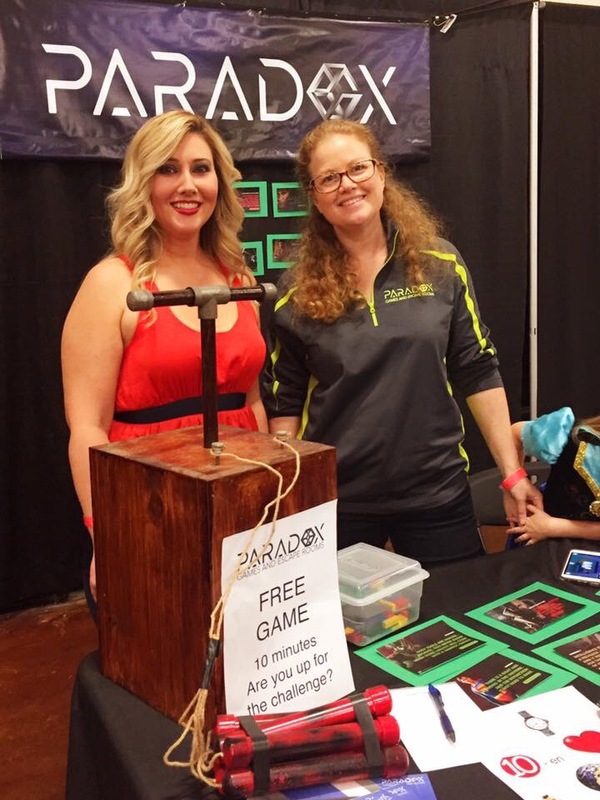 The crew from Tupelo’s own PARADOX Games and Escape Rooms were on location to show how to have fun, intrigue, and mystery, while taking teambuilding skills to the next level! On a larger scale, you will find replicas of iconic vehicles on display to check out. Always a fan favorite, the DeLorean from Back to the Future and a couple vehicles from Jurassic Park used to dodge prehistoric dinosaurs brought back to life for our viewing pleasure. 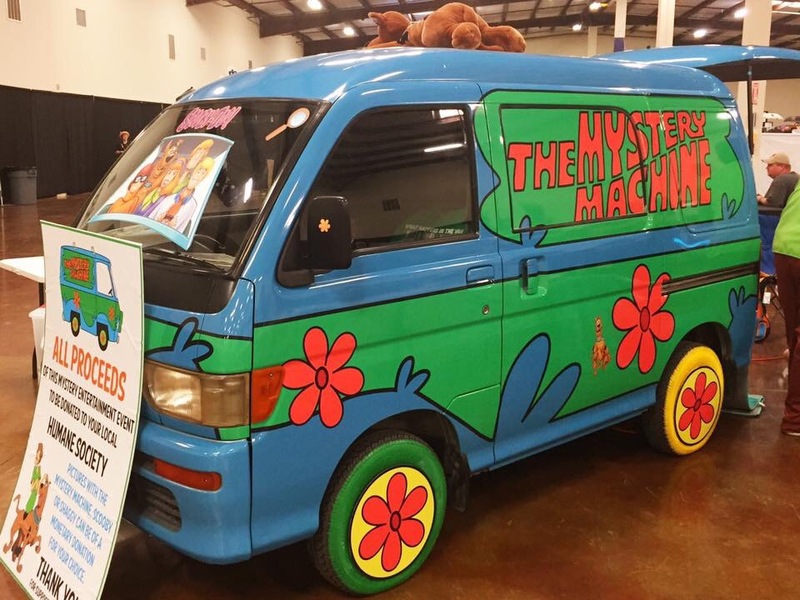 Also, The Mystery Machine used to transport Scooby Doo, Shaggy, and the crew from one menacing mystery to the next, was on display, and for a voluntary donation, you could get your photo taken with all proceeds going to the Lee Humane Society. 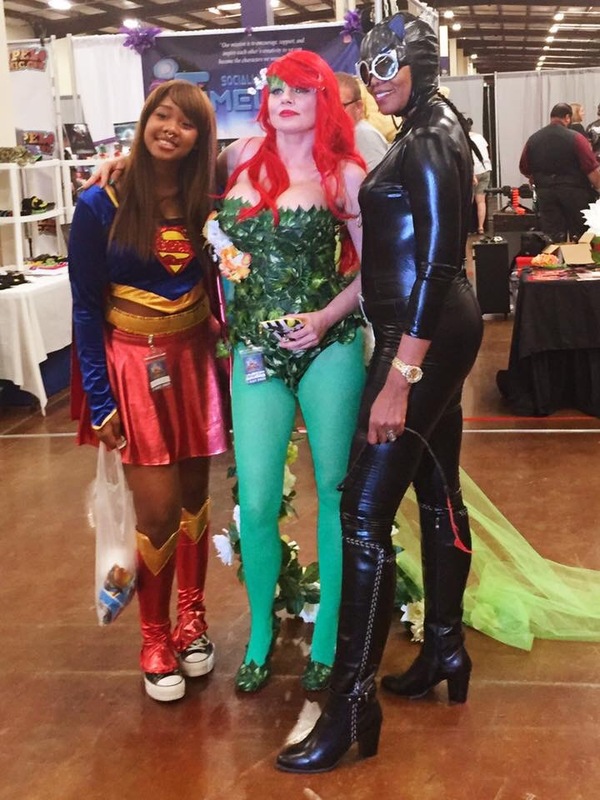 There were TV celebrities on hand to talk to, graphic artist with tons of merchandise for sale, vendors selling anything and everything related to fantasy and science fiction, plus plenty of Comic Con goers dressed in their favorite character attire with their own personal twist. 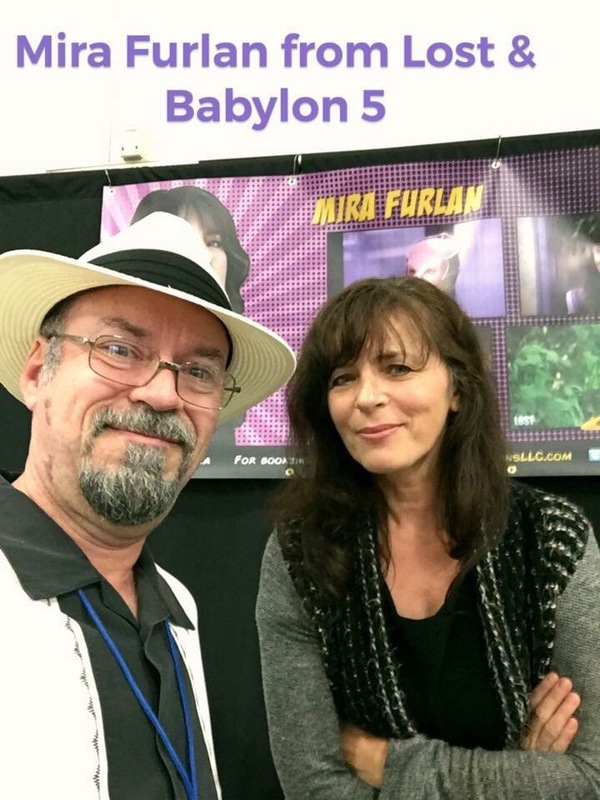 While at the Tupelo Comic Con, I got to talk about “eating out” with the star of Lost and Babylon 5, Mira Furlan!!! 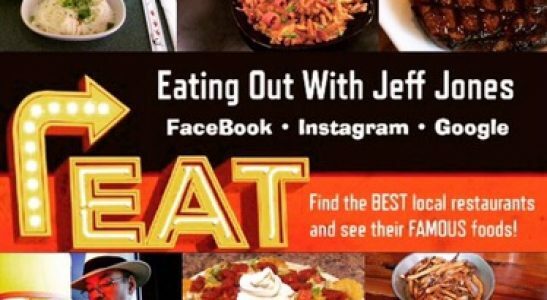 Sci-fi and recommending which local restaurants she should try…I was sooo Geeking out!!! I also got to talk to a local celebrity I’ve known since childhood, Superstar Bill Dundee. 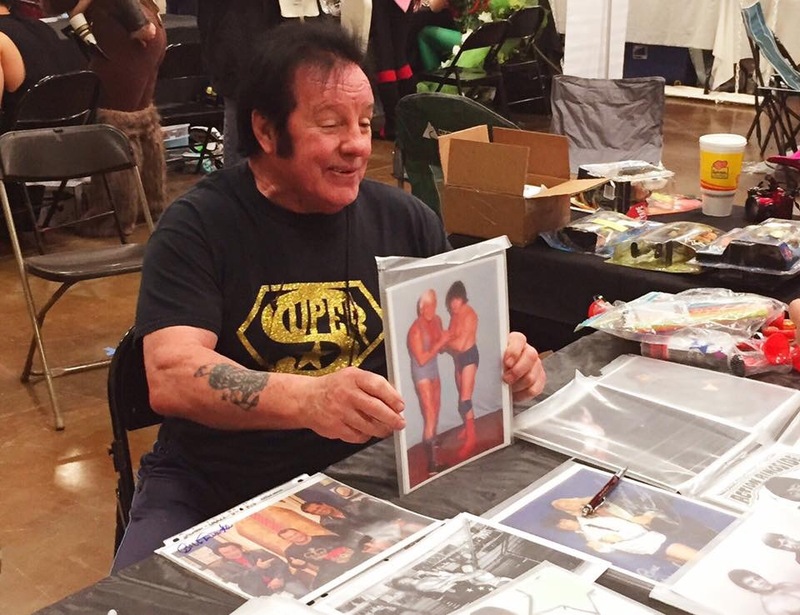 Folks, watching Bill Dundee and the rest of the Memphis Wrestling crew over 30 years ago was a Saturday morning ritual of mine, plus the occasional live performances in Tupelo was like getting to play an extra in your favorite TV show. That was living it large back in the day for me. 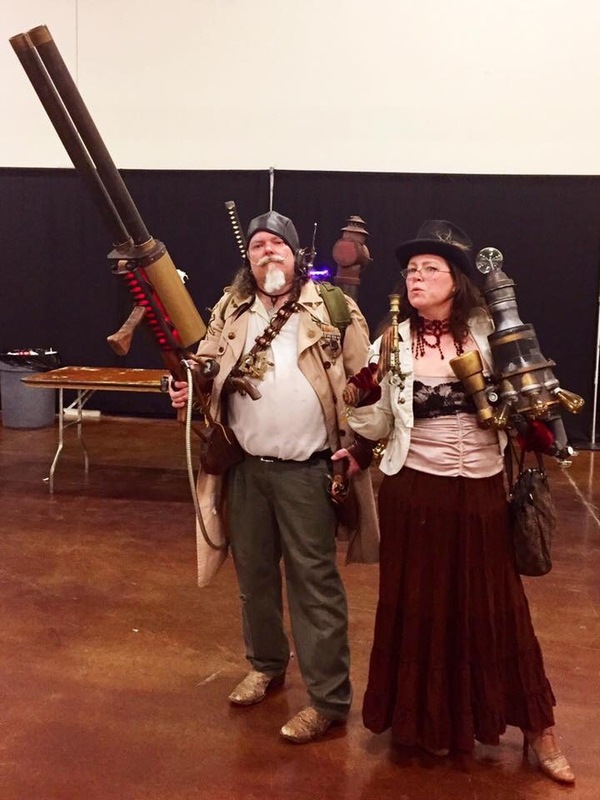 There is something for everyone at the Tupelo Comic Con. While walking around, soaking it all in, I saw families with young children enjoying all the Con had to offer. 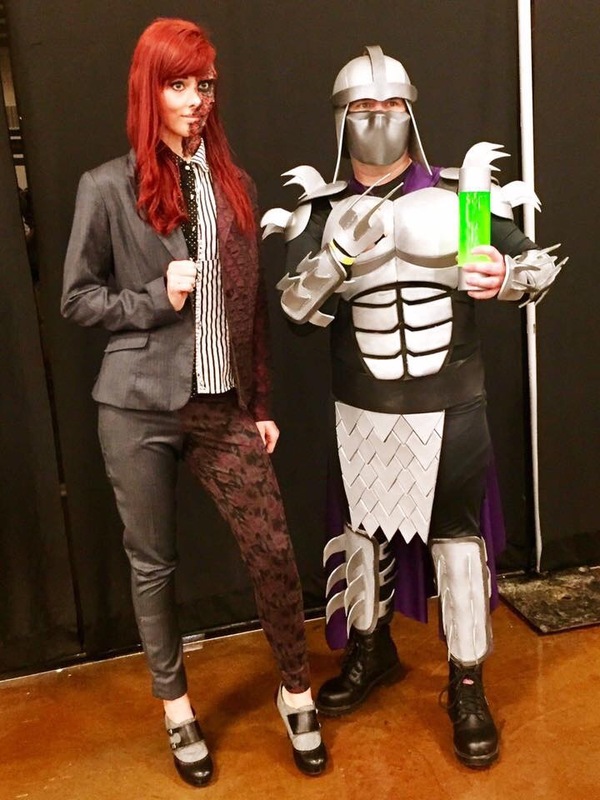 Some Con goers were brandishing their favorite battle gear, and others dressed as their favorite fantasy character with their own playful twist. While there, I got to try my hand at a Marvel Legend. 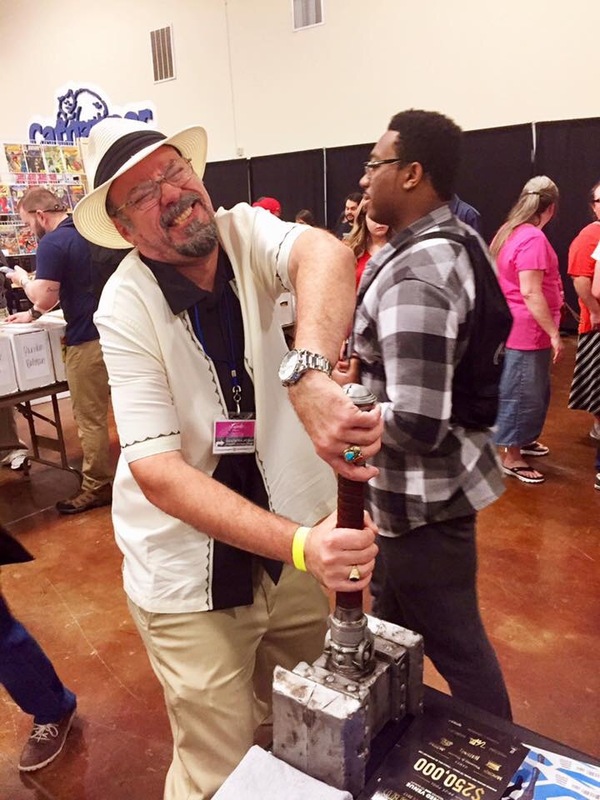 Only the most worthy may wield Thor’s hammer…I’M NOT WORTHY!!! 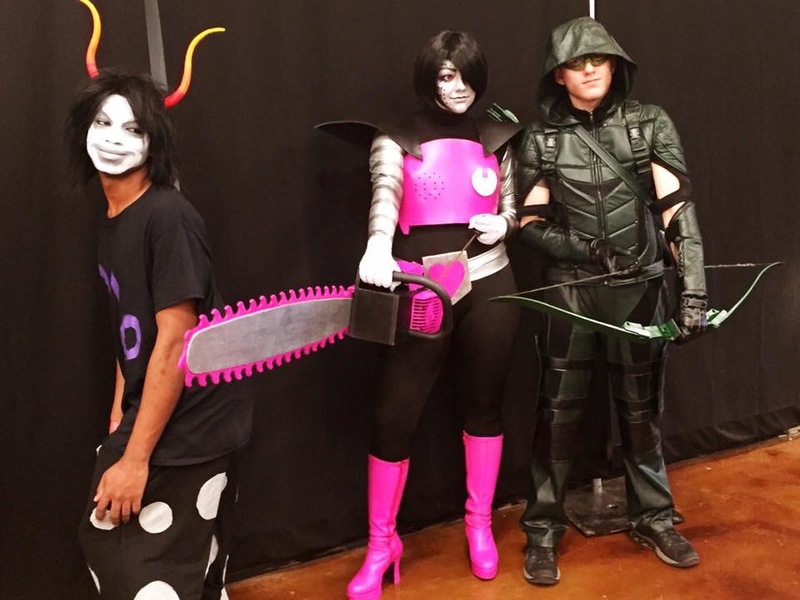 The bottom line is this, at the Tupelo Comic Con you can be yourself or somebody else. You are surrounded by likeminded folks who are just there to have fun and be themselves, whoever that may be at that moment in time. Come dressed in your most casual street attire, a simple off the shelf costume, or stretch the limits of your imagination and make it so!